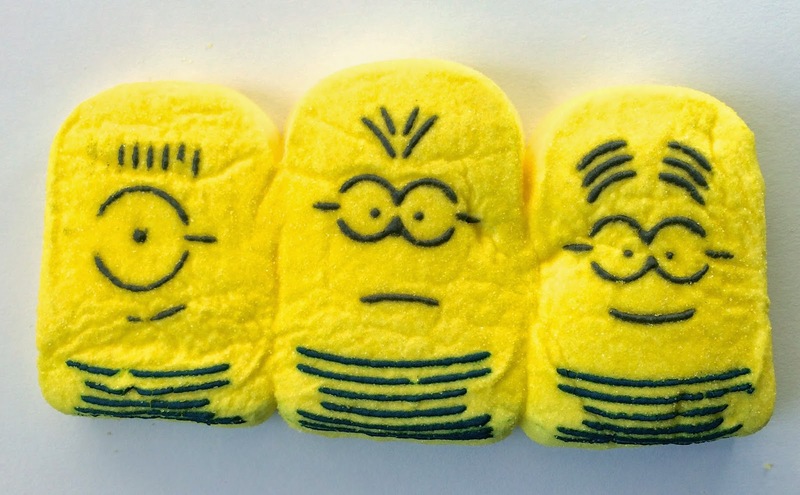 Obsessive Sweets: Peeps Marshmallow Minions!! 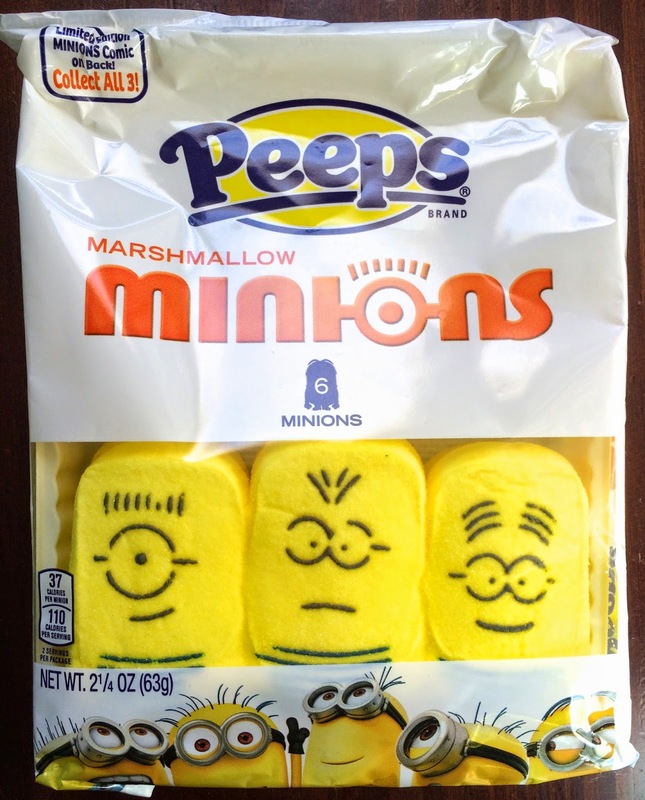 I'm so excited about these Peeps Marshmallow Minions from the movie Despicable Me! Movie tie-ins constitute some of my favorite limited edition candies and Minions are some of my very favorite characters ever. And I follow Peeps limited editions with big-time enthusiasm. Thus, these marshmallow Peeps are simply tops!